Let’s face it: only those who are eager to enjoy an unexpected shower are willing to wait for a ride in the pouring rain. The rest are looking forward to discovering the most effective cab hailing techniques. Want to stop a cab fast and with minimal effort? Below you will find the top 5 ways to hail a taxi that provide the desirable results. Wave a few times to capture the drivers’ attention. This is a classic way to hail a taxi that works every single time. Sometimes, drivers who are slightly distracted need a little more than plain hand gestures to notice you. In this case, don’t hesitate to whistle, especially if you are waiting for a taxi in an overcrowded area with reduced visibility. This is a secret tactic that can ensure your success. Make eye contact to convince the drivers that you’re actually requiring their services. Also, this method is well-liked by most people who are regularly using cabs to reach their destinations because, in most cases, it triggers immediate feedback. When drivers are willing to stop for you, they usually let you know by nodding their heads. Stay one-step ahead of your main competitors who are also waiting for a taxi by choosing the best vantage point. Make yourself noticed by lifting your arms up. Jump around and flash some cash to separate yourself from the crowd. Did you know that there are special apps for your mobile phone that you could use to catch a cab in some of the most densely populated urban areas? They come in handy and they pretty much simplify the whole taxi hailing process. Don’t want to test the top 5 ways to hail a taxi? If so, note that you can have the best taxi drivers at your disposal 24/7. Use TalkLocal, an excellent free service, to find 5-star professionals in your area in no time and with minimal effort. If you want to be treated like a real lady/gentleman, then you must know how to hail a taxi like one. Yes, social conventions will follow you wherever you may go, so you might as well get used to it. Keep reading to find out everything there is to know about taxi hailing etiquette and learn how to avoid unpleasant surprises and embarrassing situations. Halfhearted attempts to stop a taxi won’t get you very far. On the contrary, they will confuse most drivers and make them ignore you, in favor of other potential clients who seem more determined than you do. So wave, whistle, dance, jump around, make eye contact, and let that driver know that you’re ready to go. Nothing is more annoying than a puzzled passenger that forgot to ask for directions. Your time is precious, so use it wisely. Make sure you know the exact address before you get inside the cab. This is a great way to avoid misunderstandings and stressful situations. Drivers hate clients who pull out their wallets after they reach their destination. Some of the most annoying passengers waste their time and play with their nerves by counting their pennies in the back seat for minutes in a row. Small children always sit in the back seat, where they can be properly supervised by grownups. 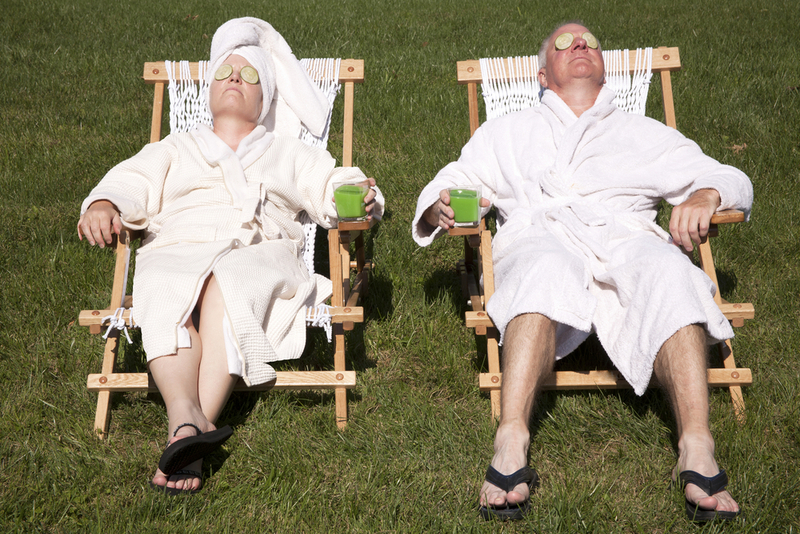 Senior coworkers, clients, or special guests are always offered the best seat (the one that is closest to sidewalk). On the other hand, junior executives hail the cab, pay the bill, and tip the driver. If, for some reason or another, you have to ride up front, don’t forget to ask for the driver’s permission first. The taxi hailing etiquette tells us that we should always tip the driver. He should receive up to 20% of the total value of your bill. Don’t want to put your taxi hailing tactics to the test? In this case, count on prompt services provided by dependable taxi drivers who are only one call away. Find them with Seva Call, your one and only connection to the best professionals in your area. The customary practice when tipping cab drivers varies, sometimes depending on the city or the country. A good basic rule to follow when calculating how much tip cab drivers should receive is around 15 percent of the fare. If traveling abroad, ask locals what the tipping customs are. You can go more or less than the standard tipping amount depending on how happy you are with your experience. When trying to figure out how much tip to give a cab driver, one of your options is to round up the fare to the closest highest tenth. For instance, if the fare is around $16.50, then pay a single $20 bill and tell the cab driver he/she can keep the change. Another way to determine a good tipping amount is to do some math and calculate by percentage. It is acceptable to tip at the very least 10 percent of the fare, but tipping less than a dollar would be considered rude. – Strong knowledge of the local area: A good cab driver should know his service area like the back of his hand, including alternate routes to take around the city. If you give a street address, he would not need any more directions or should ask for directions only once. He should also be able to tell you the top attractions in the area when you ask. – Speed: While you don’t want your cab driver to drive in breakneck speed, you also want to get to your destination in the quickest time that is safely possible. If the cab driver is able to do that, even escaping a traffic jam, then that is certainly worth a tip. – Attitude: Being a cab driver is not easy, and many have become accustomed to many unpleasant things that come with their job, which has unfortunately affected their demeanor. If you happen on a cab driver who is pleasant, helpful, professional, and polite, that in itself is a reason to tip the person. Do You Need Taxi Service? If you need to book a taxi service in advance, count on TalkLocal to provide immediate help to locate the service you need. We will get you in touch with up to three reputable taxi services operating in your area, so you can be sure to arrive on time to your destination. Do Cab Fares Vary Throughout The Day? If you are new to a big city, or simply visiting, the idea of taxis might be foreign to you. Surrounded by people who rely on cabs for transportation can be a little intimidating. You probably have many questions. How do I flag down a cab? How much do I tip? Do cab fares vary throughout the day? Do I share a cab with a stranger? 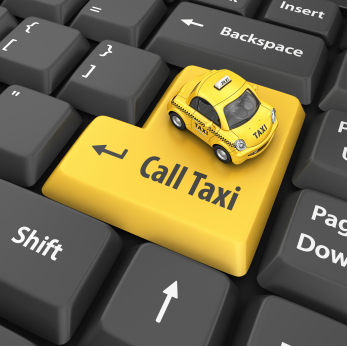 The very basics of what you will need to know is how much a cab charges. 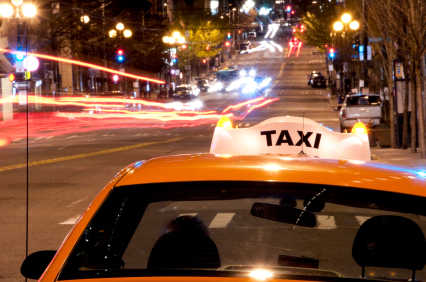 Since different cabs charge in different ways, it is important to know what to expect. Generally speaking, most cabs will charge you a small entry fee into the cab. They will then charge you a certain amount of money per mile or kilometer or a certain amount of money for each minute you are using the cab. This is why cab trips can be pricey, even when you are not traveling a far distance. You also have to figure a tip of about 10 to 20 percent into your budget. The rates that a cab driver charges can vary from city to city. Some of the biggest cities in the United States (i.e. New York, Boston, etc.) carry a significantly higher rate. While the rates the cab driver is charging you likely will not go up or down depending on the time of day, there are certain times where your fare will increase just based on traffic conditions. If you jump in a cab at rush hour and need to travel five blocks in one direction, you might still pay a high fare because of traffic. As you sit in traffic, the meter continues to count the minutes, tacking on more and more expense. If you were to take this same trip during a time where traffic was not bad, you’d pay a lot less. You don’t have to live in a big city to have access to a taxi service. Visit TalkLocal, and we’ll connect you with a taxi service in your area. Our service is fast, free, and very convenient. If you are flying into the DC area, it is not hard to get a taxi cab from the airport to your hotel. All of the airports in the DC area have taxi stands. A taxi from Reagan to downtown Washington is approximately $16 to $20. There is a taxi stand directly outside of Terminal A, as well as outside the arrivals level of terminals B and C. You will see signs directing you to ground transportation that will lead you to the taxi stand. Taking a taxi cab from Dulles to downtown Washington will cost you about $60. To find the taxi stand, follow the signs for ground transportation inside the terminal on the arrivals level. Take note that the taxi line starts inside the terminal and not outside. A taxi ride from BWI to downtown Washington will cost around $65. Immediately outside the the arrivals, you will see signs pointing to ground transportation that will lead you to the taxi stand. Taxi stands outside of airports are pretty scarce in DC, but it should not be hard to hail a cab if you are in downtown DC. However, if you are on the outskirts or want to ensure that you can get a taxi during peak hours, you can call a cab. With the help of TalkLocal, you can be on the phone within minutes with up to three high quality DC taxi cab services that are available to send a taxi cab where you are, when you want. Best Taxi Service in Washington D.C.
Getting at taxi in D.C. can be a very difficult task. If you try to hail a taxi, they may not stop for you, and if you try to call one, they may not show up. Looking for the best taxi service in Washington D.C.? Luckily, there are some more reliable premium services, but they are considerably more expensive. A new service, Uber, allows you to order a comfortable car through your smart phone to come pick you up exactly where you are within a few minutes from when you ordered it. No reservations necessary. It is extremely reliable, the cars are clean and comfortable, and the drivers are friendly and know where they are going. However, it will cost you about 50-75% more than a regular taxi. Another alternative is MATS, a car service that does require a reservation, but it also more reliable than regular taxi services, (but not as reliable as Uber.) It will also cost you more than a regular taxi, but is slightly cheaper than Uber is. If you are looking for a ride somewhere, but do not want to pay premium price, you may have to stick to regular taxis. One way in which you can raise the chance of actually getting the taxi you requested is to order through TalkLocal, a new service that will connect you with three of the best rated taxi cab services in the area that are available when you want them. Taxi Magic is the best taxi cab app for iPhone and Android. It locates the taxis that are closest to you within seconds. You can also track how long it will take your taxi to arrive through dispatch updates and the map provided. The app even lets you pay by credit card if you are low on cash after a long night out. Best of all, it is completely free. TalkLocal can also connect you to taxi services. Use TalkLocal to put you in touch with the best taxi companies in your area. Our mobile app for iPhone and Android is currently in beta testing, and will officially launch soon. Losing things is not fun, especially in a taxi. If you have ever lost something in a cab in Philadelphia, be sure to check out the Philly taxi lost and found. Before you begin to panic, go through these steps. Prevent identity theft by deactivating any credit cards left behind. Immediately call your bank or credit card company to deactivate and flag the card. Find the taxi company and contact them about the item lost. Most taxi companies in Philadelphia have an online form to fill out for lost and found requests. If they do not have a form, they must be called. When describing an item to a representative, be as descriptive as possible. Many items are lost in Philadelphia in taxis and a vague description will only delay the return of the lost item. Also, be persistent. It may take a few calls for them to find the lost item. 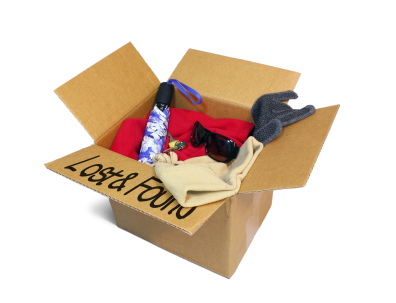 There are many ways to post lost items in the Philadelphia area online. Philadelphia taxi lost and found is a popular site that allows people to post about their lost items or found items. The website is connected to all of the taxis in town. When using taxi cabs in the future, remember to check for all your belongs before you leave. 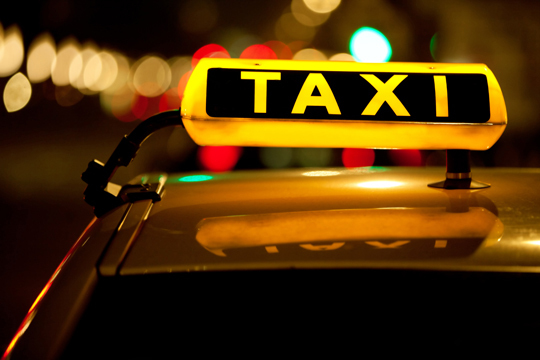 If you are in search of a good taxi service, use TalkLocal. TalkLocal will connect you to up to three reputable taxi services in your area within minutes. As opposed to walking or riding the subway, catching a taxi in a foreign country is usually a more efficient and safer option, especially if you don’t know where you’re going. However, there are aspects of taking taxis that can be dangerous that you should always be aware of. Remember to practice foreign travel safety tips when using taxis at all times to prevent any possible dangerous situations. – Only enter a taxi after locating a taxi stand. These should be easy to find; you will see a marked sign with a long line of parked taxis. Approach the first taxi in the line, and enter one there. Be sure to take notice of the particular taxis as well. 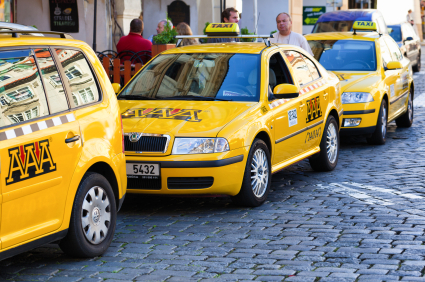 If the taxi doesn’t look like others, it may be a “fake” – stay away from these. – Be sure to know the name of the place you’re going, in the foreign language. If possible, locate the exact address as well. – Keep your personal belongings close and in sight. It is very common to set down your phone or wallet on the seat next to you, and then get out of the taxi without picking it back up. If you have heavy luggage, keep it next to you in the back seat if possible, as opposed to paying extra to use the trunk. – Take down the taxi phone number, in case something does happen and you need to get in contact with the company. Taxi companies often attach business cards to the back of the seats for easy acquisition. It can also be helpful in the future if you need a taxi and aren’t close to a stand. 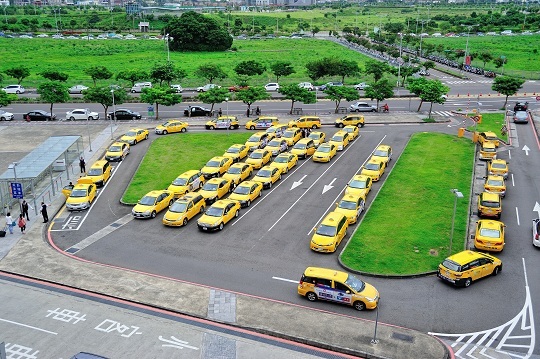 – If you are coming out of an airport, try to locate legitimate taxi sharing services to save on your fare. Don’t let anyone push you into a taxi if the area is crowded, but instead try to locate an airport employee and ask about transportation services. Try to observe what other tourists are doing to find the safest, easiest or cheapest option. – When you do find a taxi, locate the meter immediately. Make sure it hasn’t already started running before you even get in the car, (this is an easy way for drivers to rip you off.) If the taxi doesn’t have a meter, you’re probably better off by not getting in. – Be sure to research the tipping procedures for your specific country. In some countries, tipping the driver is not expected, (as fares may already be expensive enough to cover it.) In others, a 10% tip may be appropriate. – Make sure to always have enough cash. It’s better to over-budget a taxi ride than to under-budget and not have enough to pay for your fare. Need help locating a taxi near you? Try using TalkLocal, a free service that will connect you to local taxi services within minutes. Simply enter in your problem, location and availability, and TalkLocal will contact taxi companies, who will then call you directly, ready to help.